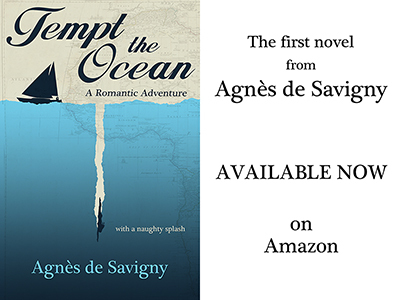 I have struggled a little (mostly with schedule) to publish an official author page for Agnès de Savigny. The work has interfered with blogging, editing, writing, active promoting, and the occasional book read. But I’m happy to say that I’ve finished the work, and Agnès not only has her own menu tab (above), but I can now link back to a proper dedicated page from anywhere on the web. This is so much better than making the blog feed her author page which, while it did bring readers back to the blog, did not demonstrate any sense of professionalism. Promoting the book (and therefore the author of said book) with absolute professionalism is a must for independent authors. The resulting page is simple, incorporated into the blog, and carries all the key links for publicizing both the book and the author—everything I wanted from it. If anyone would like to share their own author page in the comments, please do. This week I hope to embark of some romance blog tourism, and plan to share my experiences when I get back.